Please pick your favourite SQ22 entry song from the list below. Everyone who participates in the voting will enter to win a deluxe gift pack, valued at $100, sponsored by G-Way Health Centre". The song with the highest votes will bring home the be the title of "People's Choice Award”. 票選截止日期 Voting Deadline: May 22, 2018. 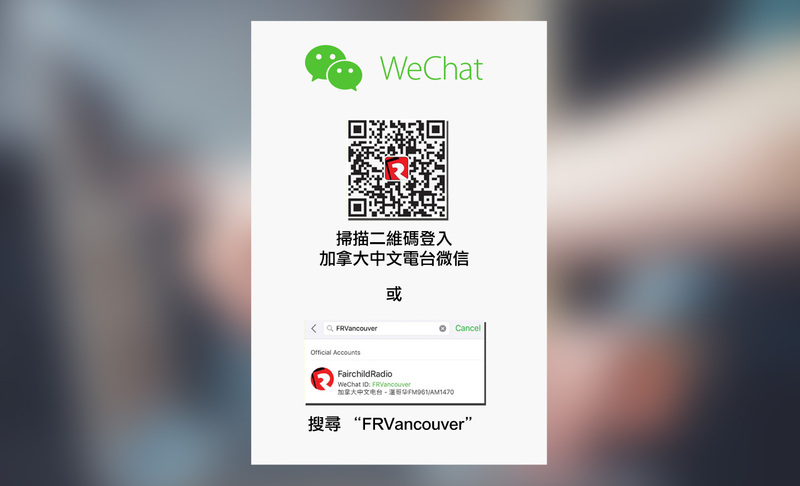 Starting from May 26, voting result and winner will be announced on Fairchild Radio's website and APP, in the "VOTE" category's "SQ22 - People's Choice Award". Winner will be notified individually or the winner can contact Fairchild Radio at 604-295-1234 to arrange prize redemption. 每個 IP 地址只能投票一次 Only one vote per IP address.